David Lynch’s work can run between esoteric and impenetrable, and yet, Twin Peaks was something that not only made it to the mainstream, but it also became a pop culture sensation and a touchstone of the '90s. The series helped change the TV landscape forever. The creators of series like The X-Files, Bates Motel, Riverdale, The Killing and Hannibal (that cancellation still hurts) have often acknowledged Twin Peaks as an influence. The darkness, the folksy, off-beat humor, the cinematography, the serialized storytelling; it’s possible that the Golden Age of Television would not have begun without this series laying the keel. And it barely lasted thirty episodes. Much like the owls, Twin Peaks was not what it seemed; from the Log Lady to the Black Lodge to the question that plagued the entire world—Who killed Laura Palmer?—the series was as mysterious to those involved as it was to the audience. We’ve scoured the internet, interviews, and our collective trauma from Jack Nance’s nasally twang telling us “She’s dead—wrapped in plastic” and returned with some interesting pieces of history. So, settle in with a slice of cherry pie and pour yourself a damn fine cup of black coffee and enjoy the 15 Things You Didn't Know About Twin Peaks. While Laura Palmer’s ghost would haunt the series from the very beginning, her actress, Sheryl Lee, was only meant to put a face to the name. However, series creators David Lynch and Mark Frost were taken by Lee’s personality and acting skills and decided to cast her as Maddy Ferguson, Laura’s cousin who comes to stay with the Palmers after Laura’s death. Laura was a blonde where Maddy was a brunette; a more bookish individual than her dead cousin. However, like Laura, Maddy was killed by BOB who had taken possession of Leland Palmer’s body (duh). Again, the producers were sad to see Lee go, and in their original pitch for season 3, she would have returned as yet another Palmer cousin—this time as a redhead. Lynch himself once joked that he would just keep killing her off and bringing her back until they ran out of hair colors. Twin Peaks influenced many shows, and in Sheryl Lee, created a proto-version of South Park’s Kenny. Saturday Night Live always latches on to what’s popular, and Twin Peaks was no different. They had Kyle MacLachlan, Agent Dale Cooper himself, host an episode in 1990, while Peaks was hotter than the Packard Sawmill fire. Seeing one of the classic SNL casts playing the folksy, dangerous or downright strange Twin Peaks characters is a treat (Chris Farley as Leo Johnson! Phil Hartman as Leland Palmer!). MacLachlan’s parody of Dale Cooper is strangely not all that much different from Cooper itself, which is perfect. He’s already strange enough that the SNL writers were smart in not turning the volume up too high. What makes the night is MacLachlan’s opening monologue, where he gives out fake spoilers and gets an angry phone call from David Lynch, who usually eschews public appearances and comedies (though he did have a quick cameo on Louie, oddly enough). David Lynch and Mark Frost wrote the revival screenplay over Skype, but never cut it into episodes, even when filming. The result was over four hundred pages. Usually, a single episode of a one-hour drama comes out to forty to fifty screenplay pages. In fact, none of the cast members (outside of MacLachlan and Lee) read the full script. Actors were given their lines the day of filming, and scripts were shredded after the day was complete. It wasn’t until the entirety of the revival was finished that Lynch and Frost sat down with an editor and broke the acts up into chapters for airing. Considering the level of secrecy around the production, the editor immediately signed an NDA and was probably thrown in the trunk of Leland’s car next to Maddy. While the series may not always get mentioned in the same breath as The Sopranos, its sphere of influence is every bit as great. Fire Walk With Me, the feature length prequel to Twin Peaks, was probably never going to be good. With Mark Frost uninvolved, Lynch’s insanity vision took over. It was a complicated film that raised more questions than it answered, and as great as Sheryl Lee was in portraying Laura Palmer’s self-destruction, it was unidentifiable as Twin Peaks. Part of the reason was that Lynch wanted to make three movies; the other reason was Kyle MacLachlan. MacLachlan was worried about being typecasted and desired a smaller role. That’s why Chris Isaak’s Chester Desmond was created, and why the beginning of the film feels so disjointed. 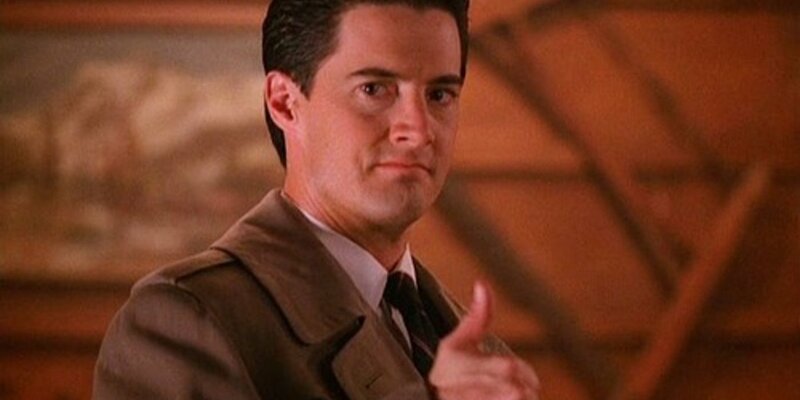 However, with MacLachlan back on board as the series lead, Twin Peaks’ revival (which will still deal with the fallout of Fire Walk With Me) might actually feel more like the show we remember. You can see shades of the spin-off in Fenn’s cameo in Wild at Heart, though the germ of the idea eventually grew into Lynch’s magnum opus Mulholland Drive. After the cancellation of Twin Peaks and the critical and financial bombing of Fire Walk With Me, Lynch couldn’t get the ball rolling with anything remotely related to the brand. Mulholland Drive itself wouldn’t be developed and released until almost a decade after the initial pitch, and its final form had no connections to Twin Peaks. If you don’t love (the original) Robocop, you’re probably a communist. The 1987 sci-fi action satire was one of the best films of the '80s and one of the greatest science fiction films of all time. David Lynch has heaped much praise on the film over the years; so much so that he aggressively pursued Ray Wise and Miguel Ferrer who appeared in Robocop to join Twin Peaks as Leland Palmer and Albert Rosenfield, respectively. In season two, Dan O’Herlihy joined the series as Andrew Packard. It has been long speculated that had the series immediately gone on into a third season, other Robocop cast members were going to be cast. The names most often mentioned were Paul McCrane, Kurtwood Smith, and Ronny Cox. We would have definitely bought that for a dollar. David Lynch loves secrecy. Nobody in the cast knew who killed Laura Palmer, not even her killer. In season two, Japanese businessman Mr. Tojamura was introduced and was later revealed to be Piper Laurie’s Catherine Martell, who was believed to have died in a fire at the end of the first season. It was a great twist for the audience—and for the cast. Laurie was told to come in before the other actors to have her makeup done. She was also told not to break character. (You’re probably wondering why; it’s David Lynch, just go with it.) For weeks on set, she maintained the look and the voice. Jack Nance commented to Lynch “the new guy’s kinda weird,” while some of the other actors believed that it was Laura Dern or Lynch’s then-wife Isabella Rossellini under the mask. The cast didn’t find out it was Laurie until they filmed the revelation scene. The titles were eventually adopted by CBS for streaming episodes of Twin Peaks, and they added them to their syndication runs on cable. However, they are not included in any of the DVD or Blu-Ray releases, nor will there be titles in the new revival episodes. The Man from Another Place is one of the most iconic characters on Twin Peaks, known not only for his dancing (God knows, characters on Twin Peaks love to dance), his garish style, or his taste for creamed corn, but also his rhythmic backward language. Michael J. Anderson would speak his lines into a recorder, which would then be played in reverse. Anderson would read the reversed lines, which was reversed again to normal, giving his character a unique cadence. However, Anderson had developed a similar language as a kid with his brother and junior high school friends, so he quickly mastered the lines Lynch gave him. Impressed, Lynch gave him more complicated lines. Imagine having to say “Garmonbozia” backward. Anderson nailed it all, and he was paid handsomely for it. American soap operas highly influenced the writing of Twin Peaks. To that end, the show employed a show-within-the-show by having its characters be obsessed with a soap opera called Invitation to Love (which, naturally, has a blue velvet background). Lynch and Frost used the snippets from Invitation to Love to comment on or foreshadow events happening in Twin Peaks. Invitation character Montana is shot mysteriously; shortly thereafter, Leo Johnson is shot in a similarly-styled scene. Later, as Maddy is introduced in Twin Peaks, an Invitation episode presents Jade’s evil twin sister Emerald. Learning more about Laura and Maddy, we see that they’re similar to Jade and Emerald. Maddy is the sweet, bookish girl while Laura is the dangerous one with the dark secrets and violent past. If only Invitation to Love foreshadowed the Miss Twin Peaks competition; we all could’ve tuned out early and saved some of our time and dignity. Frank Silva was a longtime set dresser on David Lynch films. One day on set, he was situated at an odd angle while working on Laura’s bedroom set. Lynch didn't see Silva, and was startled by him. Regardless, he liked the accidentally terrifying look on Silva’s face and said that he might have an acting job for him. Later, Silva was accidentally caught in the reflection of a mirror during one of the shots. It was then that Lynch came up with Killer BOB, the entity that went around destroying innocence. From there, Lynch and Frost developed the supernatural aspect to the Twin Peaks mythology. The series went on to use the footage of Silva in the mirror and even recreated the odd angle that Lynch saw Silva in at Laura’s bed. While only showing up in a few scattered episodes and having virtually no dialogue, Silva's contribution to the lexicon on Twin Peaks is enormous. In order to keep the secret that a possessed Leland killed Maddy (and therefore his daughter too), Lynch filmed two versions of Maddy’s murder to throw off the cast and crew. The other filmed killer was Benjamin Horne. This version has never been seen—not even in the 90 minutes of deleted scenes recovered for the recent Gold collection release, damn them—but Lynch has spoken of the scene a few times. Actor Richard Beymer knew that he didn’t kill Laura and had to film this scene just to through people off, but according to Lynch, he knocked the scene out of the park. It was so good that Lynch was taken aback and briefly considered switching the endings out, but even in the dream-logic of the show, it wouldn’t have made much sense. We’ve said it before. At the time, everybody loved Twin Peaks. Over the years, a number of anecdotes have come out about how obsessed people were. Apparently, Queen Elizabeth II was a fan, so much so that she left her own birthday party early—right before Paul McCartney was going to perform for her as a gift—so she can watch the latest episode. That’s right, the Queen of England didn’t have a VCR. But here’s the real kicker. According to Reflections: An Oral History of Twin Peaks, Mikhail Gorbachev was a Twin Peaks fan—enough to request that President Bush tell him who killed Laura Palmer. Word went from Bush to financier Carl Linder to Aaron Spelling to David Lynch, who replied with a simple, “No.” That’s right—if this rumor is true, David Lynch told the leaders of the two largest superpowers to go straight to hell. However, when asked about the rumor in a recent interview, Gorbachev claimed he had no recollection of the show, which is only more evidence that he was a fan and merely blocked season two out like the rest of us. You want this. Admit it. You’re sick over it. You want to know it all. As it turns out, Lynch and Frost spoiled parts of the season for you already and it’s all in The Secret History of Twin Peaks. Frost recently published a novel/dossier that covers the in-world history of the fictional town and sets the stage for season 3. Now’s your last chance. Turn away because we’re giving out some dirt. Audrey Horne has been in a coma since the bank explosion. Catherine Martell sold the Ghostwood properties to Ben Horne after Pete and Andrew were killed. She disappeared and lives elsewhere in the forest as a hermit. Hank Jennings died in prison. Major Briggs realized that Cooper had been replaced by a doppelganger. It is implied that the doppelganger killed Briggs and Sheriff Truman. Evil Cooper is out there somewhere. Not even the FBI knows where. Donna Hayward left Twin Peaks; James Hurley moved back. Gordon Cole assigned FBI Agent Tamara Preston to Cooper’s case. Preston is expected to be in the revival played by Laura Dern, Amanda Seyfried, Jessica Szohr, Madeline Zima or Naomi Watts. Enjoy the new season, spoiler hunters! What Twin Peaks trivia have we missed? Are you excited for the revival? Let us know in the comments! Twin Peaks premieres May 21 at 9 pm on Showtime.